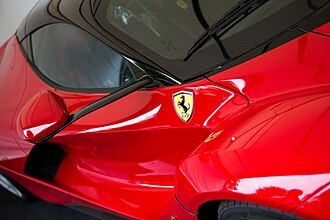 The Ferrari Millechili (Italian for one thousand (mille) kilograms (chili)) is the name of a concept car shown at a technical symposium at Ferrari's headquarters in Maranello in 2007. It is also the name of a project by Ferrari to develop and manufacture a lightweight sports car. The development of the Millechili is being done in collaboration with University of Modena and Reggio Emilia, faculty of Mechanical Engineering. MilleChili Lab is a cross-project in which students are working on light-weight car design. 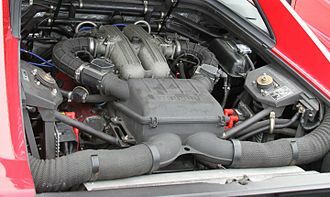 The Millechilli is 152.8 in (3.88 m) long, with a 104.3 in (2.65 m) wheelbase, resulting in an appearance of a scaled-down Enzo. The concept has an aluminum structure, a titanium transmission case, and several aerodynamic aids that reduce drag. A production version of the Millechili concept car was speculated to enter production in 2010. Millechili Lab is a part of the Millechili Project, created in February 2009 by the University of Modena's Engineering Faculty in collaboration with Ferrari. The MilleChili Lab is to study and design a light-weight automotive chassis for high-performance cars, thanks to the work of under-graduate and post-graduate students, all trained inside the Lab. There are only a few constrictions for the new designed lay-out: the possibility of industrialization and the respect of every performance target given by Ferrari. The future chassis, created for a mid-engine design car, should be designed in 3 years. The Lab, thanks to Ferrari research funds, has four UNIX workstations supporting multiple users and also used as a 32CPUS' Cluster, and a brand-new cluster with 24CPUS. The Lab has also two Windows workstations. 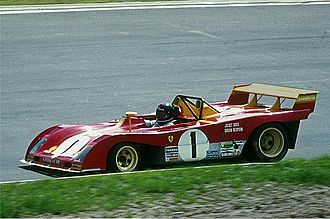 Every interactive computer is equipped with various pieces of software, such as CAE (CAD, FEA, Material Selector, etc...) programs, all the same used by Ferrari, to simplify information exchange. ^ a b Hilton Holloway. 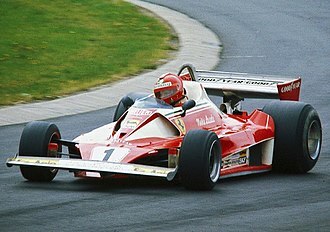 "Ferrari's lightweight lab - Anything goes". Autocar.co.uk. Archived from the original on 2010-06-11. Retrieved 2009-12-30. ^ "Ferrari Inaugurates "Mille Chili" Laboratory". autoevolution. Retrieved 2009-12-30. ^ QUIROGA, Tony (October 2007). 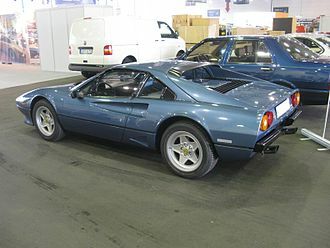 "Ferrari Millechili". Car and Driver. Retrieved 14 April 2013. ^ **TIME AGO**. 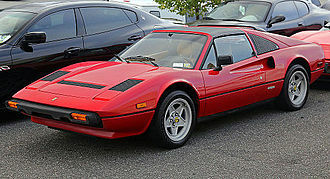 "2010 Ferrari Millechili - Car News - Auto Reviews". Car and Driver. Retrieved 2009-11-15. ^ Iancu, Madalina (20 February 2009). 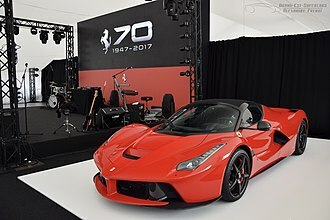 "Ferrari Inaugurates "Mille Chili" Laboratory". Retrieved 29 December 2016. 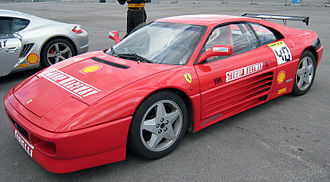 The Ferrari Testarossa is a 12-cylinder mid-engine sports car manufactured by Ferrari, which went into production in 1984 as the successor to the Ferrari Berlinetta Boxer. 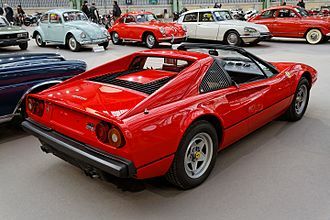 Almost 10,000 Testarossas,512 TRs, and F512 Ms were produced, making it one of the most-produced Ferrari models, despite its high price, in 1995, the F512 M retailed for $220,000. The Testarossa is a two-door coupé that premiered at the 1984 Paris Auto Show, all versions of the Testarossa had the power fed through the wheels from a rear-mounted, five-speed manual transmission. 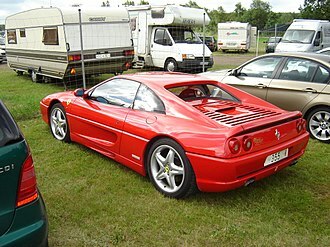 The F512 M was introduced at the 1994 Paris Auto Show, the F512 M was Ferraris last mid-engine 12-cylinder car, apart from the limited edition F50, Enzo and LaFerrari, featuring the companys last flat engine. 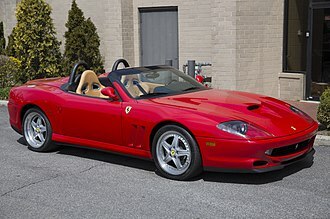 The Testarossa was replaced in 1996 by the front-engined 550 Maranello coupé, the Testarossa name paid homage to the famed World Sportscar Champion 1957 Ferrari 250 Testa Rossa sports racing car. 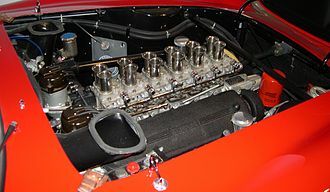 Testa Rossa, which means red head in Italian, refers to the red-painted cam covers sported by both cars 12-cylinder engines. 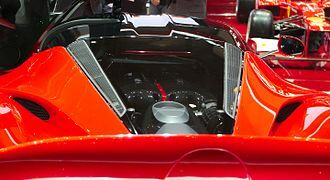 The Testarossa can trace its roots back to the faults of the 1981 512i BB, to fix these problems Ferrari and Pininfarina designed the Testarossa to be larger than its predecessor, the Berlinetta Boxer. 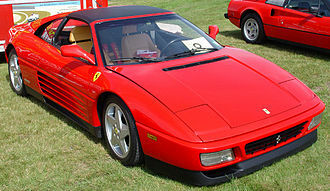 For instance, at 1,976 millimetres wide the Testarossa was half a foot wider than the Boxer. 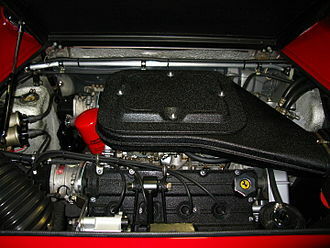 This resulted in an increased wheelbase that stretched about 64 mm to 2,550 mm which was used to accommodate luggage in a storage space under the front forward-opening hood. The increase in length created extra space behind the seats in the cabin. Headroom was increased with a half an inch taller than the Boxer. 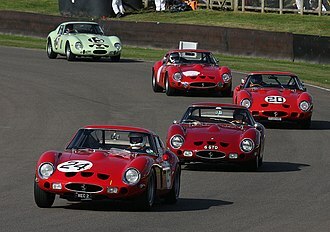 The design team at Pininfarina consisted of Ian Cameron, Guido Campoli, Diego Ottina, with little surprise, they were led by design chief Leonardo Fioravanti, the designer of many contemporary Ferraris. 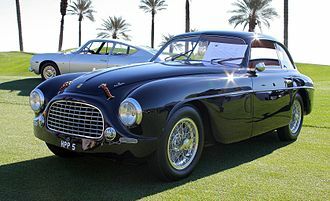 The design was originated by Nicosia, but the guidance of Fioravanti was equally important, being a trained aerodynamist, Fioravanti applied his know-how to set the aerodynamics layout of the car.